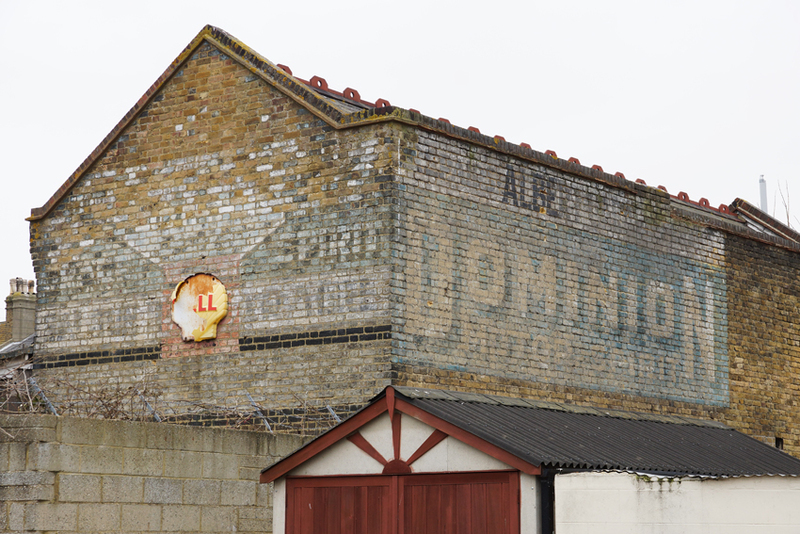 Right outside the railway station is a good, if faded, sign for Dominion Motor Spirits. Like many signs, it partly owes its survival to the newer advertising which replaced it: a few years ago, one side was protected by a hoarding. 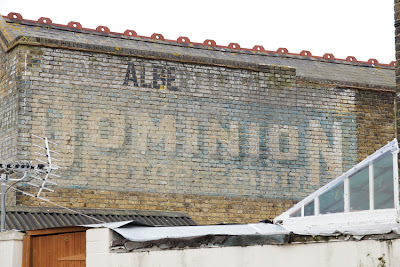 Dominion was founded in London in the 1920s, supplying petrol products for aeroplanes and racing cars as well as the domestic motorist. A series of company take-overs soon followed, and it became part of Shell-Mex and BP in 1934. However, the brand survived until 1957 and was marketed as a premium product. While Dominion Motor Spirits may have long disappeared, the garage mentioned in the advertisement - Albert Garage - is still very much in business at this location. 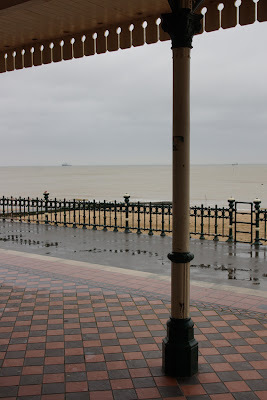 Walking along Marine Parade and into the town centre, I saw several hotel signs. The Beresford Boarding House may have left a less colourful, more mundane reminder of its past than Dominion, but it still tells part of the resort's story. 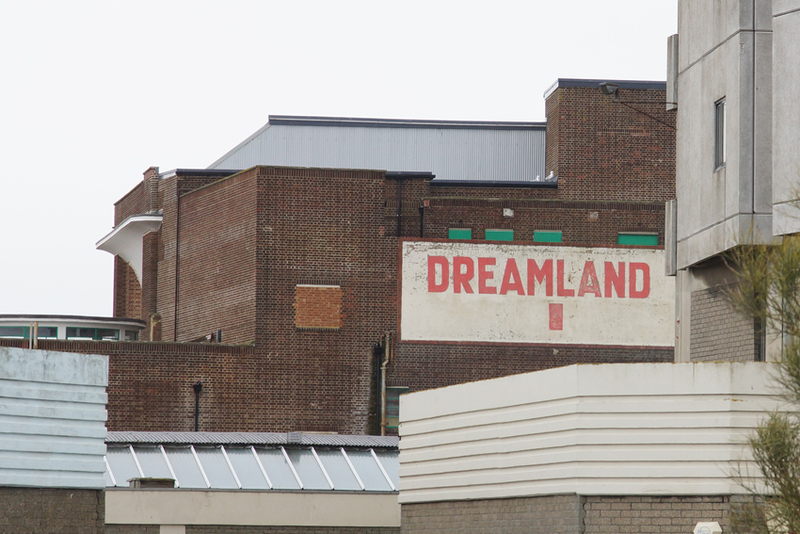 It peers above the fence for Dreamland's car park. This amusement park was once at the metaphorical as well as literal heart of the town, but closed some years ago. Happily, it was saved from developers and is to be reopened next year, featuring historical rides and attractions. 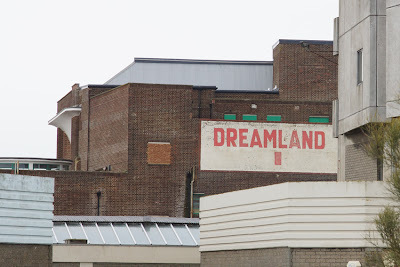 With its Grade II-listed cinema, rollercoaster and menagerie cages, it is ideally suited to conveying the heritage of British seaside amusements. 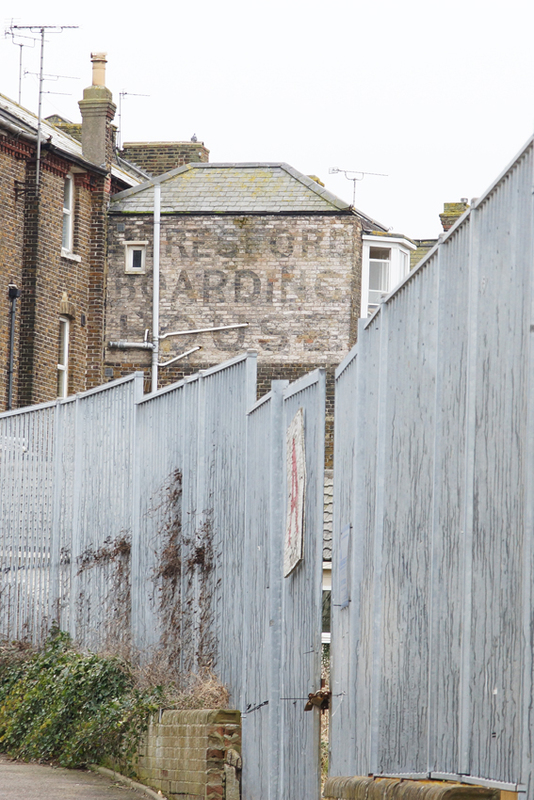 For the moment, however, its prominent signs make a forlorn reminder of the past. Just off the Market Place in the Old Town is another hotel sign, for the Central Temperance Commercial Hotel. It's a reminder of the temperance movement and its alternatives to licensed premises - many of which enjoyed success. Indeed, this hotel points out that it was 'Estab[lished] 20 years'. 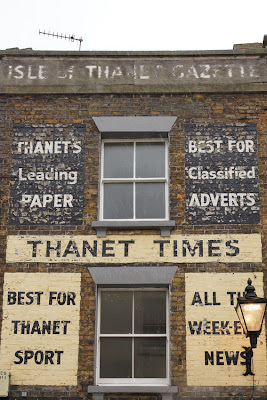 Nearby, the Thanet Times and Isle of Thanet Gazette promise that they are 'best' for classified adverts, Thanet sport and all the weekend news. 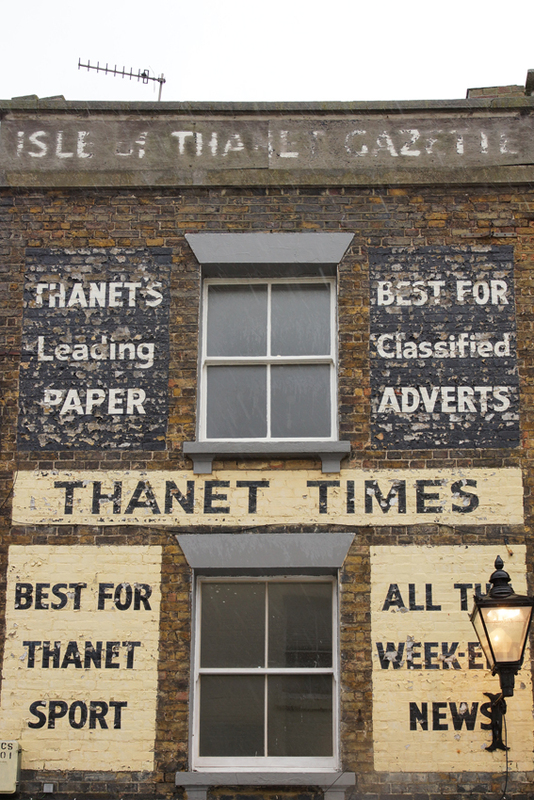 In fact, the Thanet Times published its final edition last year although the Isle of Thanet Gazette continues to cover local news. You might also look for a more literary kind of ghost. 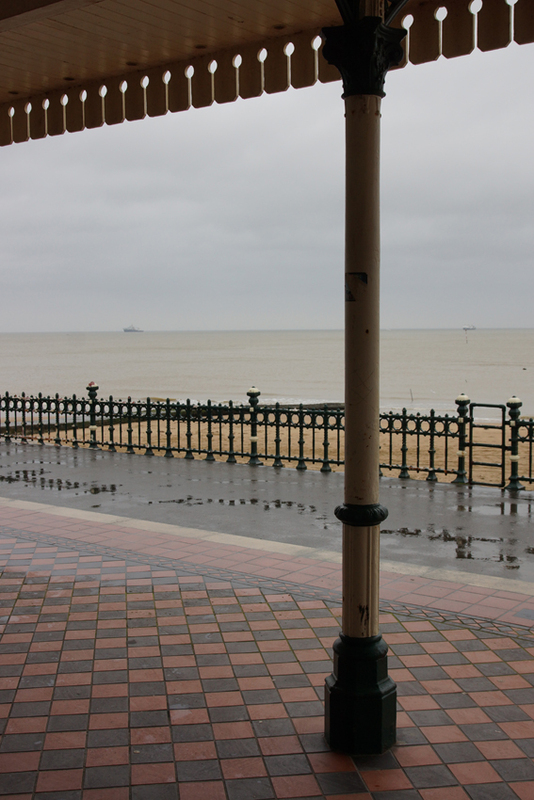 In the Nayland Rock Shelter, T S Eliot looked out over the seafront as he wrote part of The Waste Land. 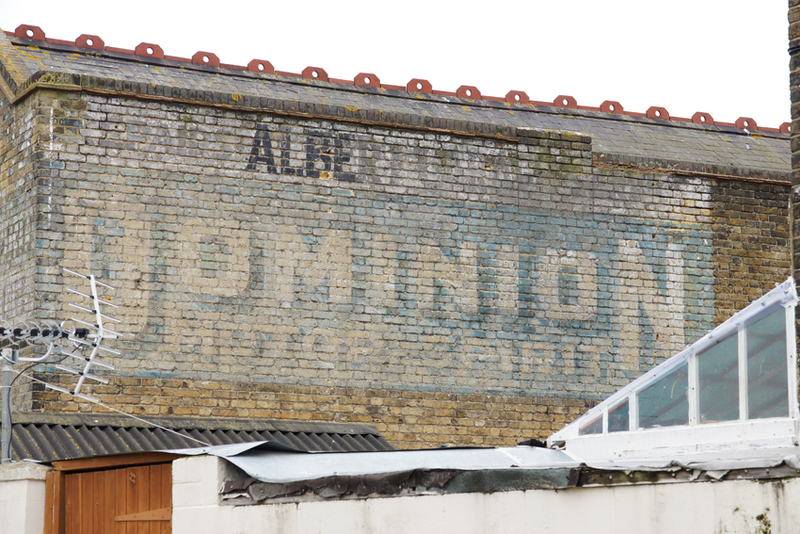 I've always loved 'ghost signs' as they really make you remember what the country used to be like -- far more interesting than nowadays, I fear when the massive chain stores have taken over and everything looks the same. 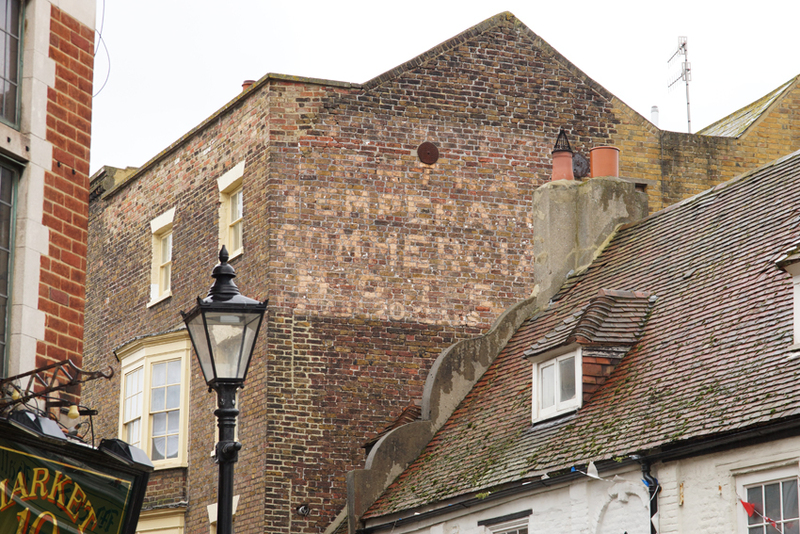 Fantastic post, I heard a little bit on the radio today about ghost signs and thought it was really interesting.